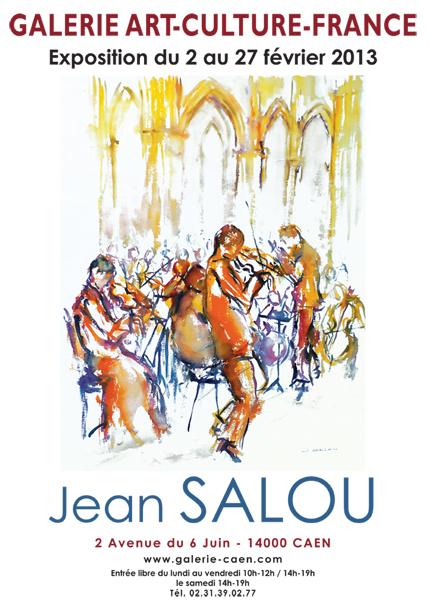 A fine and true watercolourist, Jean Salou is one who uses this complex discipline to further his artistic style, conferring his work with different effects and thereby crafting a contemporary pictorial language without neglecting or ignoring reality which, thanks to his talent, becomes even more captivating. Such is Jean Salou, and such is his method: impressive, bearing in mind he also paints frescos and practices sculpture. 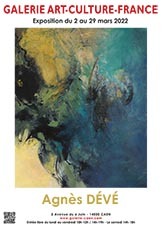 Indeed, even when painting, does he not stylishly and dynamically sculpt the essence of his designs?! His approach remains identical, guided by the same passion and sense of immediate observation that he has acquired over two decades of painting watercolours. Let's take an example! His incredibly fluid seascapes: Jean Salou defines them in terms of impacts of light, like a modern-day impressionist, attentive to the touch of swimming pearly colours which further bring to life an almost subjective reality. These qualities are also apparent in a series of paintings depicting musicians and actors who are so skillfully analysed by the artist. And then there is this gesture that Jean Salou powerfully and seductively sustains when deciphering the mystery of the body-postures. Evoked with a rare confidence, they are set down in a few sumptuous brush-strokes that are as remarkably daring as they are self-assured.